Technology has transformed business in a million different ways, but perhaps one of the most notable changes is the way it has become so much lighter. We can now outsource our services, communicate from great distances and store files on the cloud: all of which allows companies to operate from a more diverse range of locations, to move around more freely and easily, and to work with fewer supplies and smaller teams. Building your business this way will help to reduce your overheads and increase your resilience, while at the same time making you more efficient and adaptable to meet the requirements of your customers and clients. But how do you go about making the very most of technology in order to achieve flexibility and adaptability? Read on and we'll look at some of the things you can do to make your business truly lightweight by leaning on the latest technology. The ideal devices to use in a lightweight business would be those that are physically small and light while still having the full power of larger machines. They should be adaptable to be used in a range of situations and they should sport long battery lives. The ideal choice then would be the brand new Surface Pro 3 from Microsoft. 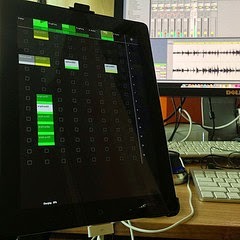 This is a 'slate' computer that houses the power of a full desktop Windows PC in the light body of a thin 12'' tablet. The specs go all the way up to i7 processor with 256GB storage space and 8GB of RAM, while the battery life gets up to around 9 hours. The Type Cover keyboard attachment allows you to turn it into an incredibly light ultrabook (with adjustable viewing angles thanks to the friction-based kickstand) while the digitizer pen is ideal for taking notes while standing up at a trade show or meeting. You can work anywhere with this set up, allowing any location to become your office. They're also much smaller and lighter for your office relocation when it happens. Another way to ensure you have fewer heavy items to use is to cut down on papers and documents and make the move to a truly paperless office. One of the best ways to do that meanwhile is to use a portable scanner which can scan multiple pages, front and back, by taking them in through a paper feed. The best of these come with built in software that will use OCR (optical character recognition) to turn your pages into searchable word documents and that will upload all your files to a cloud storage service like Evernote or DropBox. Now your files will always be accessible from any machine and you'll never need to carry piles of papers with you moving office. With this setup your staff will now have light machines that can access all the relevant data from anywhere in the world. But you will still have a lot of staff which will create its own challenges. If you want to keep your business small then, you should consider outsourcing some of your work to other online services. Virtual assistants are businesses that will complete any task you need completing that can be completed through phone and e-mail and that doesn't require particular specialist skills. Virtual assistants will handle administrative tasks, proof reading, web editing, research, customer support and more while you sleep allowing you to keep your team smaller and still provide excellent support and achieve impressive output. For communication you can also use auto-responders and mailing lists in order to reduce the number of similar e-mails you're sending to clients and business partners thus freeing yourself up even more time. Skype meanwhile can be used along with a high-quality web cam in order to provide video conferencing so that you don't have to attend meetings halfway around the world. Use time clock software and you won't even need to be in the same room as your staff. You'll all be able to work from anywhere, at any time and with minimal distractions. The author of this article, Nancy Baker, is a freelance blogger who is currently writing for AMJ Campbell. She has a very dynamic personality and she enjoys trying new things. You can also follow her on Twitter @Nancy Baker. PDFs are a convenient and easily accessible document, but they can't be edited with most software. In this case, Aiseesoft PDF to Word Converter can help you convert PDF files to Word document, which can be edited easily with many different programs. With the OCR technology, this PDF to Word Converter could even convert scanned image-based PDF file. Besides, this program helps you perfectly preserves the original text, images, graphics, layout and formatting in the output Word document. Download and install Aiseesoft PDF to Word Converter. Click "Add File(s)". This will allow you to look through your files to find the PDF file that you'd like to convert to a Word Doc. Select "Page Range". Click "All" to convert every page in the PDF file into a Word document. If you don't want to convert every page, just type the page numbers or page range you'd like to convert. Click the "Convert" button to start the converting process. Once it’s finished, you can click "Open" to find the Word file in output folder. Now to get the 10 1-year keys of Aiseesoft PDF to Word Converter, you need to like Aiseesoft on Facebook and share their post of Mothers’s Day contest with #AiseeMotherLookAlikeContest. You may have noticed in the past that your computer was not working in its normal speed, and a friend or an expert may have suggested you defrag your hard drives. You may also have noticed that your computer was function at normal speed again or even better. 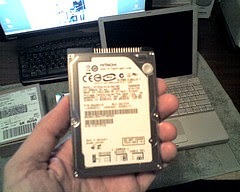 However, you may not have paid much attention as to why defragging your hard drives worked. Learn how this process works, and how you can use it regularly to optimize your hard drives, thus enhancing them for better performance. Understanding how your computer stores data is a prerequisite for understanding defragmentation. When a hard drive is storing data such as a file, the computer's operating system tries to store the same file in a section of contiguous, locations that are connecting without a space or break. Storing data in contiguous spaces is usually no problem when you have a new hard drive. Nevertheless, as you continue to use your hard drive, you will delete data from it, thus creating tiny pockets of space on the hard drive. These tiny pockets of space in the hard drive are known as fragmentation. When a hard drive becomes fragmented, and the operating system wants to store data on it, it will attempt to store the data in a section of contiguous space is sufficiently large to accommodate the data. If your hard disk is heavily fragmented, there could not be sufficient contiguous space available to sore data, hence the operating system will break the data into and store it in multiple locations on your hard drive. As a result, the file too becomes fragmented. This can especially be disadvantageous when installing new software on the computer since the application will be installed on multiple locations in the hard drive. The performance of this software will be degraded when you try to run it. To overcome this problem, software developers created applications known as disk defragmenters. In basic terms, a disk defragmenter recognizes data on your hard drive's partitions in such a way that it stores the files in as much contiguous space is available. This application will search your hard drive's partitions and move data from one location to another, such that the files stored are a single contiguous piece rather than being spread throughout countless locations on the partitions of the hard drive. This enables the data and programs to run quickly and more efficiently since the operating system does not have to read from many locations. There are two main ways of defragging a hard drive, which are using a disk defragmenter and using a spare empty hard drive. Close all applications: the first thing you want to do is shut down all applications including disabling your antivirus so that the process can be smooth and quick. Run the disk defragmenter: Windows operating system comes with a tool called disk defragmenter. You can locate this tool under the System Tools folder under Accessories in the Start Menu. Click once on the disk defragmenter, select the partition you want to defrag and click on the Analyze button. Analyze the partitions: Once you click on the Analyze button, the program will run an analysis of the partition to show you how badly it is fragmented. Do this for all your partitions to find out, which one is badly off so that you can begin with that one. Make a habit of reading the report. Defragment the partitions: Before defragmentation can take place, a partition must meet various requirements. For instance, it must have at least 15% free space on the drive. If a partition is marked dirty, it will not defrag since it may be corrupted. You can only defrag one partition at a time, and you can only defrag local drives. Perhaps the quickest and most efficient way to defragment your hard drive, if your budget allows, is t use a spare hard drive of equal storage capacity. You would then copy all your data from the fragmented hard drive to the spare hard drive. You would then delete all the data from the fragmented hard drive, and copy all the data from the clean hard drive back to the old hard drive. Today's featured writer, Nancy Baker, is a freelance blogger, who often writes for Hard Drives For Sale. She likes to practice yoga to stay healthy and fit. You can also follow her on Twitter @Nancy Baker. The rapid evolution of technology has provided people all over the world with things that were once only possible in their dreams. Healthcare is one field where technological innovations have directly affected the medical research concerning how long and how healthy people live by introducing new ways to diagnose and treat diseases. Let's take a quick look at three of the most important technological innovations in the field of healthcare. Open-heart surgery is an intense and drastic procedure. It's hard on the patient's body and can cause lengthy hospital stays. There are some patients who are unable to undergo open-heart surgery because they're too weak. The Sapien transcatheter aortic valve offers an alternative to this procedure. The valve itself is made of bovine tissue attached to a stainless steel stint. It can be inserted through the femoral artery just like most other stints. When the valve is in the right place, a balloon placed at the end can be inflated so that it can be anchored to the right spot. The minimal amount of invasive surgery involved with this procedure makes it safe to use on older and physically weaker patients. The ATI neurostimulator works much like electronic aspirin. It uses electric signals to help combat headaches, which may make it vital in helping people whom have chronic and uncontrollable headaches. It's designed to be implanted in a patient's gums near the SPG nerve bundle. When a patient feels that onset of a headache, they can bring a remote up to the device and check the status of their headache with the press of a button. The neurotransmitter delivers an electric signal that mitigates the signals that the SPG bundle of nerves, which are the nerves responsible for the feeling of headaches. While things like electronic stethoscopes and handheld microscopes for children have come about as the result of technology's constant advancement, they pale in comparison to an army of robotic assistants that can green and record the vital signs of patients. The RP-VITA Remote Presence Robot program aims to introduce robotic healthcare assistants that can do just that. They can offer a two-way video conference, which makes it that much easier for doctors to personally see their patients. The promise of this technology is that it can offer constant monitoring of patients with dangerous conditions that could grow worse at any given moment. This makes healthcare more responsive, which in turn allows them to get help before their health condition gets considerably worse.